I am loving the pastel candy colors from Rosebullet’s latest collection. I like how they matched the pastel candy colors with hues of browns. It brings out a bit of European style and clashes of sweet Japanese. 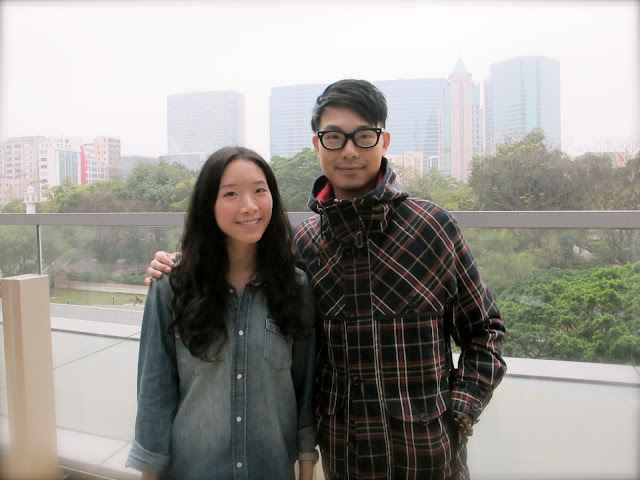 Rosebullet is collaborating with Hong Kong celebrity stylist, Ricky Kwok, in their latest Spring Summer collection. With Ricky’s professional advice in personalizing the collection and styling it, I can’t wait to see the most chic in town! Here are some quick snaps of Ricky Kwok styling with Rosebullet’s clothes. I am loving the green sweater with yellow polka dot dress and polka dot trench coat on polka dot dress outfits. I was very lucky to do an interview with Ricky himself. 1. Rosebullet is targeted for teenage girls in Japan. Do you think there is a difference between Japanese and Hong Kong girls when it comes to styling? In my observations I feel that Japanese girls are willing to try and risk various styles. They often dress up and put a lot of effort to it. As for Hong Kong girls, they are more conservative when it comes to mix and match in styling. It seems like they have certain rules and fears to dress bold. 2. Can you please describe what’s your feeling to this brand? Before styling Rosebullet, I have noticed this brand because of the model “Leana”. She is in almost 90% of the AD Campaigns, which I found very fascinating. The customers’ loyalty and attitude towards Rose Bullet is very unique. People who admire this brand will follow and be alert of new and latest styles. 3. Can you share with us your styling experience with Rosebullet? What were some interesting things that happened? Initially looking at the clothes on a mannequin, I thought the clothes would be challenging to style with. Since the clothes looked so different when it’s on a real person than a mannequin.Later on, styling the model, it was totally a different story. Also I figured best outcome to bring out the brand’s style is layering different pieces together. 4. If you have to style me in rosebullet, what are your picks? I would use Rosebullet’s scarf and a cardigan to add on to your current style. I think the biggest trend this season, candy colors, from this collection will look great with your denim shirt. 5. What recent fashion show has caught your attention? A few weeks back I went to Moschino’s fashion show in Hong Kong. The theme of the show was food market; the place was decorated like European food markets on the street. What caught my attention were the souvenirs, they were real fruits on display that you can take home. To me, it’s a very creative way to let audience notice how important it is to recycle. 6. Is there any fashion icon in Hong Kong you want to share with us? Or anyone that has never disappointed you with their outfit. I don’t have a specific fashion icon. Actually whenever I travel to Europe or different places I see a lot of well-dressed girls on the street and I find them more amusing. I like people to like to mix and match with new and vintage instead of head to toe brand items. 7. How did you start being a celebrity stylist? Any tips on how to become one? During my high school years, it was pretty obvious my interest was Arts and Design. I still remember the first time I shopped for my mother’s closet and styled her. The fulfilling feeling I had was indescribable and from that day onwards I wanted to make women look stylish and fashionable. So I worked my way up in becoming a fashion stylist I am now. Always learn from every single thing that is happening around you. Don’t doubt yourself or let others step over you, Have expectations to what you do, as a stylist you should have your point of view. 8 . How do you find inspiration? Also any cool books or website you can recommend us? First thing in the morning, these websites are like newspaper to me and it’s a must read for stylists.